Only in the media bubble that Barack Obama has surrounded himself in would an appearance on a The Daily Show with Jon Stewart be considered a hard-hitting interview. To Stewart’s credit he at least brought up the assassination of U.S. 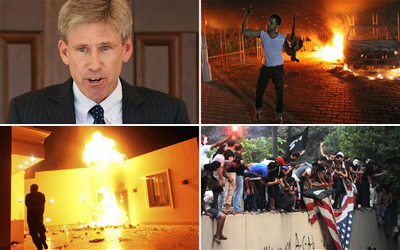 Ambassador Chris Stevens and three other Americans in what we now know was a pre-planned terrorist attack.